Tommy Ghent believes the Genting Arena will be the perfect venue to get fans excited again following his four year hiatus from the sport. The 25-year-old will compete on BCB-Boxing’s ‘Now Or Never’ show at the Genting Arena, Birmingham, on Friday 23rd of February, on the undercard of Frankie Gavin’s bid for the IBO World Welterweight Championship. ‘Gladiator’ has been reinvigorated since returning to boxing with his brother Richie in his corner and he told BCB boxing he wants to use this next fight to show why he is a title contender. “Everything is going well. I am getting back into my stride again and I am feeling more relaxed with each session. I am enjoying it and I am just looking forward to getting back in the ring. “Having my brother around is fantastic. I am learning everyday with him and I am being pushed to my limit which is what I want. “It is really exciting to be fighting in the Genting but I don’t think I will be fazed by it at all. I strive in situations like that and it will bring out the best in me. “I have fought on the undercard of Kell Brook before in Sheffield so I know what to expect. “I enjoy the big arenas more than the small hall venues because that is what boxing is all about. You want to get on that big stage and get the opportunities that will bring with it and push on for titles. “Every boxer has to go through the grind and fight in the small shows before pushing on. But once you get that opportunity that I have here, you need to take it. The show is packed full of local boxers and Ghent is delighted to be involved in the Birmingham bonanza. “I am very proud to be on this show. The lads from the Black Country don’t get the recognition they deserve. 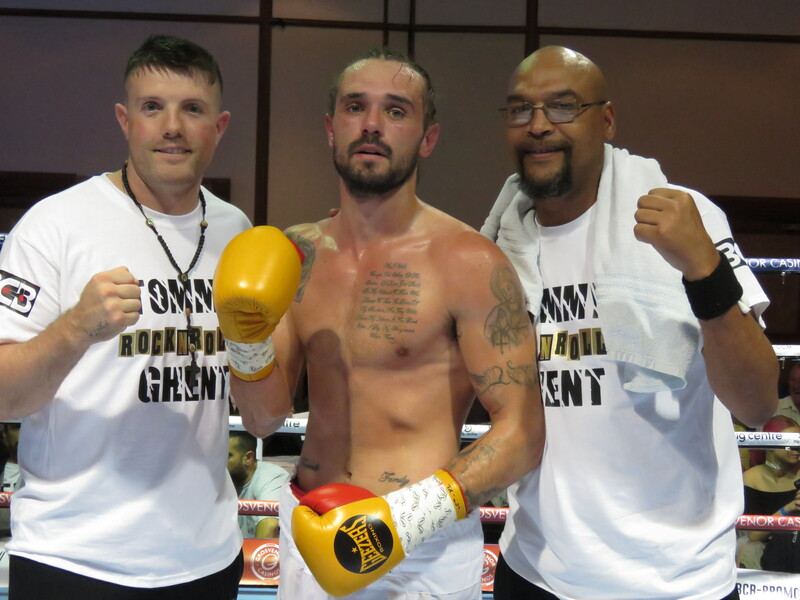 The Coseley fighter already has his eye on a belt only two fights after making his return and he is hoping an enthralling performance in the Second City will lead to a chance for a title. “I want to go out there and stay composed and work off my jab. If the knockout comes then that would be great. My fitness is there and I just want to enjoy myself and progress from my last fight. “The win should put me up there for a shot at the Midlands. I would like any title that I can go for and I just want to keep building and going onwards and upwards.